Land into any international airport. Open an in-flight magazine. Turn on a TV on any global news channel. Walk in the streets of any global metropolis and look around you. We find ourselves surrounded by colourful and shiny promotional campaigns celebrating the beauty, dynamism, creativity, coolness and fun of cities, regions and countries around the world. We are told, thanks to carefully crafted visual strategies, that Malaysia is ‘Truly Asia’, that India is ‘Incredible’, that Egypt is ‘where it all begins’ and that we ‘need Spain’. 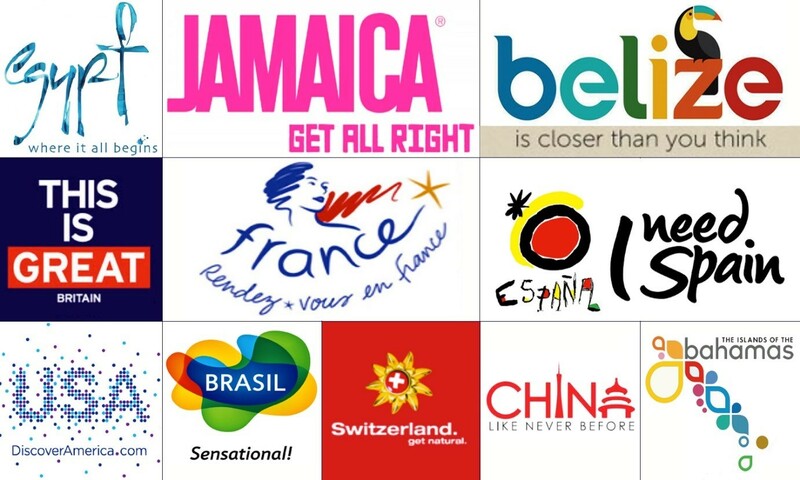 Since the 1990s, place branding has become an everyday practice of global market life, being widely and enthusiastically adopted by countries, regions and cities across the world. The purpose of place branding is to identify what makes a place attractive to different forms of global financial and human capital (i.e. investors, tourists, skilled labour, and international students) and use marketing and brand management techniques to promote the competitive image of the place in the global marketplace. Advocates of place branding suggest that it contributes to improving the place’s visibility in an era of great competition between nations, regions and cities, which in turn helps generate revenues and, for nation-states, increase their political legitimacy in international decision-making. While nation branding might appear as a benign way to learn more about food, landscapes and nightlife in foreign locations, it bears deep political implications and highlights how the global economy is produced and reproduced by seemingly superficial everyday practices. First, it contributes to the development of the politics of expertise, granting political authority (and financial resources) to the corporate sector, and especially branding consultancies. Second, it frames the global economy as a competitive space, which in turns create disciplinary incentives for many places to transform and adapt to the imperatives of global capitalism. Place branding is a response to the claim that foreign publics and market imperatives are determinant for 21st century statecraft. National reputation and its relevance to policy-makers is not a recent question. International fairs were used by nation-states to showcase their cultural achievements and material power in the nineteenth century. After World War II, national reputations were of utmost importance on the international scene in the context of the Cold War cultural warfare. But transformations in the corporate sector in the 1990s led to the framing of these questions in market-driven terms. Before the 1990s, companies had been using marketing, public relations and advertising in order to promote their products and services to global consumers, with the corporate brand working as a symbol of the products and services on offer. However, these promotional techniques were increasingly applied to corporate brands themselves, without a necessary association to the specific products and services produced by companies. Brands such as Levis or Nike, to use examples from the clothing sector, became the focus of marketing professionals who instead of using brands to promote material products, focused on promoting brands as symbols of corporations’ identities. As companies turned to selling lifestyles and identity markers to global consumers, branding was given an unprecedented attention in and beyond the corporate sector. Another shift in the global political economy after the end of the Cold War contributed to the rise of place branding. The growth and global expansion of transnational corporations (TNCs) led governments and corporations to be more and more dependent on one another to generate wealth. Management and marketing consultants and scholars, among which Harvard Professor Michael Porter and Wally Olins, renowned British branding consultant and founder of Wolff Olins and Saffron Brand Consultants, argued that in order for capital accumulation to be sustained, nations had to become as competitive as companies were already thriving to be. In order to achieve national competitiveness and successfully generate national profits, national governments were urged to use knowledge from corporate management to govern more effectively. The same imperative applied to regional and metropolitan governments as they sought to attract global capital. Place branding was born out of these two shifts, and its practical manifestations mushroomed around the world: diverse marketing operations (creation of slogans, logos, and supporting material such as videos, booklets, business meetings, cultural events, and so forth) usually supervised by governmental or private-public ad hoc bodies. By introducing corporate knowledge as a means to improve policy-making, place branding participates to the predominance of the politics of expertise. Presented as politically neutral actors endowed with technical knowledge, place branding experts are meant to supply public officials with the right knowledge about metropolitan, regional and national identities in global times. In the words of British nation branding inventor and consultant Simon Anholt, as providers of corporate knowledge, these consultants become legitimate actors in policy-making, ‘almost, in a sense, teaching governments how to govern more effectively’. These consultants are predominantly based in London, the financial and intellectual centre of the place branding industry. This indicates that their position of experts is also derived from structural inequalities in the global geography of knowledge, wherein industrialized countries in the West appear as possessors of superior knowledge through which they exercise power over the non-West. In place branding campaigns, the West appears as a desirable model of development and the non-Western world remains the abnormal and the undesirable, to be transformed to look like the West while at the same time reifying a radical difference that can appeal to foreign audiences in search of exoticism. Global competitiveness: a driver of change? Despite their neutrality, place branding consultants are bearers of powerful discourses about global capitalism and their knowledge instruments participate to the framing of the global economy as a space of endless and zero-sum game competition. Nation branding consultants have notably created indices and benchmarking tools to measure the competitiveness of nation brands. The (annual) Anholt-GfK Roper Nation Brands Index and the (bi-annual) Anholt-GfK City Brands Index measure the success of fifty national and metropolitan brands, breaking the brand identity down into different components (such as tourism and exports). These rankings are considered references in place branding measurement, together with alternative indices developed by diverse consultancies such as the Brand Finance Nation Brands Index. These benchmarking tools present the global sphere as a space of competition where best practices should be emulated by other political communities. Place branding indices promise a paradigm of world politics wherein all actors are presupposed equal, since the tools necessary to make a place competitive in the global marketplace are at the disposal of all governments. Through their value as objective tools to measure the competitiveness of place reputations and images, these rankings downplay global structural inequalities by suggesting that the best national, regional and metropolitan brands are obtained through the implementation of the best technical solutions provided by corporate experience. This vision ignores inequalities of economic and political resources derived from the globally unequal distribution of power by framing success as utmost competitiveness in the world market, and failure as the inability to implement the right policies to generate wealth creation. These place branding rankings not only ignore but also reinforce these global inequalities by presenting cities, regions and countries as divided into growing and declining economies and hierarchically ordered along standards that are presented as objective whereas they correspond to a specifically liberal understanding of the global economy. Place branding responds to a paradigm of world order in which global competitiveness has become a normal and inexorable condition to which all political entities should adapt. Nation-states, regions and cities should undergo domestic reforms and project to the rest of the world that they are deregulated, business-friendly, cosmopolitan, creative and entrepreneurial- all attributes deemed essential for a legitimate political community in the 21st century. Nation branding consultants justify their activities by claiming that countries are obliged to compete, or otherwise risk facing marginalization. In addition, place branding places competitive imperatives upon citizens, who are made responsible for becoming brand ambassadors and display the attractive qualities promoted by the brand. Nation branding participates to a transformation of citizens into competitive subjects by requiring that they assume the cosmopolitan and competitive identities matching the global standards of capitalist normalcy. Indeed, the new ideal representative of a city, region or nation-state is the entrepreneurial citizen able to be a successful hero in the globally competitive marketplace. Citizens who don’t match these positive attributes are threatened with oblivion and social precariousness. Crucially, the ubiquity of place branding perpetuates a vision of skilful politics as the mere management of fruitful market operations, and a political agenda in which national or sub-national entities should compete for capital accumulation rather than cooperate to implement global and local agendas of social justice and ecological transition. In addition to creating winners and losers, by framing the global as a space of competition, place branding encourages policies such as tax dodging and various forms of exemptions to fiscal and environmental regulations, a race to the bottom in terms of wages and working conditions, and the increasing flexibilisation of labour around the world. It renders fiscal justice and environmental preservation unconceivable as they would require concerted political action for the greater good rather than zero-sum game competition for capital accumulation. Aronczyk, M. (2008) ‘“Living the brand”: Nationality, globality, and the identity strategies of nation branding consultants,’ International Journal of Communication 2, 41–65. Browning, C.S. (2016) ‘Nation branding and development: poverty panacea or business as usual,’ Journal of International Relations and Development, 19(50), 1-26. Schwak, J. (2016) ‘Branding South Korea in a Competitive World Order: Discourses and Dispositives in Neoliberal Governmentality,’ Asian Studies Review, 40(3), 426-443. Subramanian, S. (2017) ‘How to sell a country: the booming business of nation branding,’ The Guardian, 7 November 2017, online. Kaneva, N. (2012) (Ed.). Branding post-Communist nations: Marketizing national identities in the “new” Europe. New York: Routledge. Aronczyk, M. (2013). Branding the nation: The global business of national identity. Oxford: Oxford University Press. Volcic, Z. and Andrejevic M. (2016, Eds.). Commercial Nationalism: Selling the Nation and Nationalizing the Sell. Basingstoke: Palgrave. The Good Country – Simon Anholt’s TED talk on his benchmarking instrument to evaluate the attractiveness of a country.